Last edited by Jlogano22; 11-08-2018, 09:07 PM. Lol I saw it posted in the Facebook group and was gonna put money on how quick it ended up here. Coo Coo Marlin: Wasn't crazy. We think. Aside from being long in the tooth, I don't understand the hate for the Penske scallops. Earnhardt had the exact same paint scheme every year for 13 years and no one bitched about that. The scallops debuted in 2011. THE. MODS. HAVE. ACCEPTED. THAT. THREAD. AND. PUT. IT. IN. THE. SUBFORUM. Dude, you're just wasting space now. Well personally, there's a big difference b/t simple lines that didn't distract from the rest of the car and an eyesore that's been bad ever since it debuted. These scallops just look atrocious. I don't mind the scallops on the Pennzoil car. I would prefer if they were more creative with all of their sponsors but it's not a huge deal that it's the standard scheme. 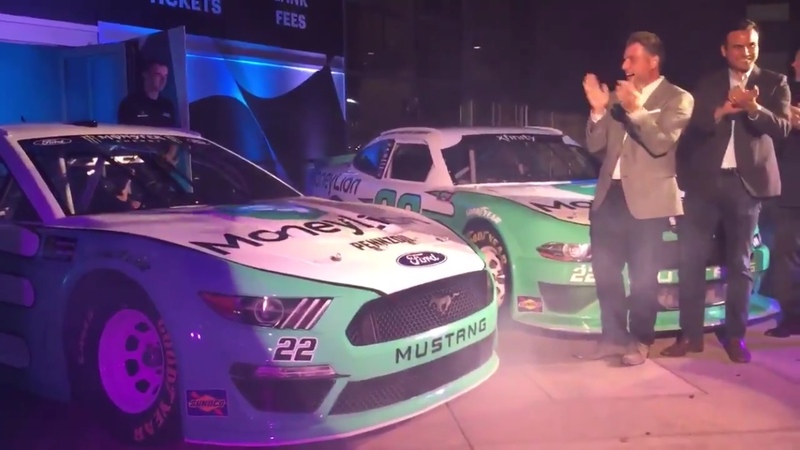 I personally have gotten to the point where I just like it when a team uses the same scheme from year to year, because aside from Penske, that's become a rare thing. The uniformity is cool, but I wish they went with Brad's chase scheme from a couple of years ago as the base instead of keeping the scallops. At the risk of the toddler getting mad I'll say I don't care for the scallops.